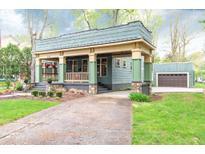 Located within a few minutes to restaurants, shopping, entertainment and downtown Indy. Home Warranty included. MLS#21605208. Realty World Indy. Summerwood - Close proximity to Geist Reservoir and Fort Benjamin Harrison State Park, this luxurious home will provide the perfect blend of woodland landscape and outdoor activities that make this part of Indianapolis desired. MLS#21605576. Litz Real Estate. The fifth bedroom is currently the laundry room. MLS#21599158. GB Landrigan & Company. Herron Morton - Start your day with coffee from The Foundry, stroll over to Festiva and enjoy appetizers on their heated patio and wrap it all up with a nightcap at the Tinker Street. MLS#21605646. Onyx and East, LLC. Village At New Bethel - Enjoy low maintenance living in this popular south side community. See this one today! MLS#21605551. HMS Real Estate, LLC. Village At New Bethel - Convenient to shopping, dining, parks, library and interstates. See this one today! MLS#21605584. HMS Real Estate, LLC. Village At New Bethel - Convenient to shopping, dining, parks, library and interstates. See this one today! MLS#21605618. HMS Real Estate, LLC. Village At New Bethel - Convenient to shopping, dining, parks, library and interstates. See this one today! MLS#21605608. HMS Real Estate, LLC. Photos may be of a similar model. 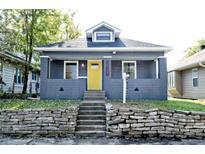 MLS#21605513. Berkshire Hathaway Home. Char Le Sumac Estates - Over-sized attached 2 car garage. Kitchen appliances included. MLS#21605658. F.C. Tucker Company. Has newer windows (a couple having the glass replaced). MLS#21605559. CENTURY 21 Scheetz. 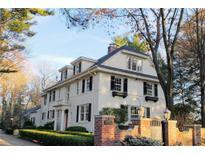 South Park - Must see in person to appreciate the amazing detail in this home. MLS#21605381. Hanza Realty, LLC. 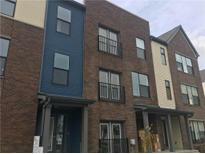 Townhomes At Meridian Square - Located within close proximity to 465, restaurants, and shopping! MLS#21605511. Plat Collective. Sunroom has been used as a sunroom, 3rd bedroom, and bonus room! The sky’s the limit. MLS#21605078. CENTURY 21 Scheetz. Open concept living dining and kitchen. MLS#21605493. Compass Realty LLC.. Seller will provide $ 3000 allowance for new carpet/flooring. MLS#21605162. F.C. Tucker Company. Still close to town and boat water. 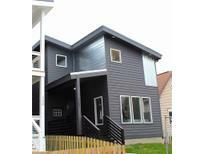 MLS#21603993. Carpenter, REALTORS®. Crooked Creek Villages - Perfect Family Home/Large Functional 4/5 Bedroom BEAUTY That is Spacious & Priced to SELL/Need of LOVE & Updates/GREAT LOCATION-End of Cul-De-Sac/Huge Entry/Formal living room & Dining Room/Dining Room with trey Ceiling & Bay Window/4 BATHS (3 FULL and 1 Half)/9 Foot Ceilings/Eat in Kitchen w/42" Cabinetry, Center Island & Pantry/Family room with fireplace/OPEN & SPACIOUS/3882 Sq Ft/Master Bedroom Suite with Vaulted Ceilings and Plant Shelf, Garden Tub/Seperate Shower, Double Sinks/BUT the Living Starts in the Basement/Media Chairs, Surround Sound,Movie Equipment, Pool Table, Wet Bar, and Full Bath/Bring Your Fresh Decor & Ideals/Huge Back-Yard/Wrought Iron & Privacy Fence/Refrigerator in Basement Stay/"AS IS"/NEW ROOF JULY 2018/ MLS#21604951. Pat's Place 4 Properties, LLC. Easy-care laminate thru-out, arched doorways, thick trim, chef's delight kitchen w/chocolate cabinetry, granite counters, subway tile backsplash, deep sink & top-end appliances, formal dining room, chic bathroom w/sliding barn door, tiled shower, built-in shelves & new fixtures, brand new HVAC, covered front porch and partially fenced backyard with mini barn. MLS#21605103. Carpenter, REALTORS®. This house is being sold "as is". MLS#21604897. LB Realty, LLC. Come see and bring your offer today! MLS#21604728. IPM Real Estate. Williams Creek Estates - Elevator, heated floors, tankless water heaters, 3 laundry areas, 3 fireplaces, 4 car garage, & private offices. MLS#21604788. F.C. Tucker Company. Northern Hills - Brand new roof! Highly convenient northside Indy location. MLS#21601361. Peter Stewart Realty LLC.